Alana Chan is an active music educator, adjudicator, pianist and conductor across Canada, America, Europe, Macau and Hong Kong. Since 2015, she has been the Music Director of the Simon Fraser University Concert Orchestra and in 2018 she was also appointed as the Music Director of A Little Night Music Orchestra. The orchestras she has performed with and conducted include the London Serenata, Vancouver Metropolitan Orchestra, Vancouver Academy of Music Symphony Orchestra, Pacific Region International Summer Music Academy Orchestra, Hong Kong Symphonia, Hong Kong Elite Chamber Orchestra, Hong Kong Children’s Symphony Orchestra on concert tour in Vienna, and the Chamber Orchestra of New York at the International Respighi Conducting Competition where she was the first female conductor to be awarded Honorable Mention in Carnegie Hall. Summer of 2018, Alana was the Assistant & Cover Conductor for the fully staged opera “The Magic Flute” by Mozart at the Prague Summer Nights Music Festival in the historical Estates Theater in Prague. She also conducted a staged opera scenes concert in Tabor, Czech Republic. Alana was invited to return to Prague again in the summer of 2019 for the production of Mozart’s “Don Giovanni” and “Marriage of Figaro”. Back home in Canada, she was invited to conduct one of the fully-staged performances of the musical production “Once Upon a Mattress” by Rodgers and Barer, presented by the North Shore Light Opera Society in May 2019. Alana’s past and present conducting mentors include Dr. John Farrer, Professor Howard Williams, Dirk Brossé, Salvatore Di Vittorio, Timothy Long, John Nardolillo, Frank Klassen, Ken Hsieh, Arthur Arnold, and Jimmy Chiang. In her earlier musical career as a pianist, Alana has won numerous awards including First Place in the Canadian Music Competition, First Prize in the Kay Meek Competition, and was named top ten young talented pianists in the International Pacific Piano Competition; followed by her debut piano concerto performance with Maestro Victor Feldbrill and The Vancouver Academy of Music Orchestra at the prestigious Orpheum Theatre. 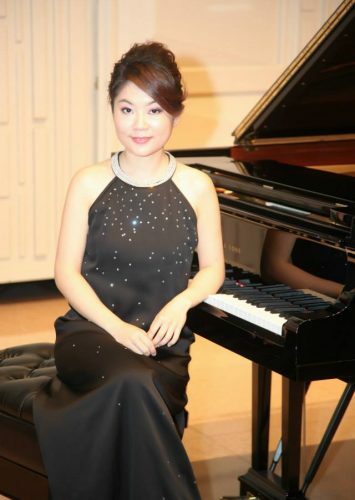 She is an alumna of the Vancouver Academy of Music where she studied with Professors Saida Matyukov and Lee Kum Sing. In Hong Kong, she studied with renown pianist Choi Sown Le. Alana achieved Master of Arts in Music with Distinction and was awarded the Scholastic Award for being the top of her graduating class from the Hong Kong Baptist University (HKBU). A few years later, she was featured in the Hong Kong Ming-Pao Daily newspaper (Feb.2nd 2018 issue) for being one of the most successful alumni of HKBU. Upon invitation, she wrote and published an article on “Playing Together as One” for The Pianist Magazine (Issue 9). Alana was also interviewed by the Japanese magazine Fraser Monthly for their March 2019 issue which featured the story about her profession as an emerging conductor. Alana’s abundance of music teaching experience involved leading music workshops, school bands and choirs for children including students with special needs. She has founded and taught the school choir at the Jockey Club Sarah Roe School of the English Schools Foundation. Alana was a music instructor at the Hong Kong Academy for Performing Arts. In 2012, she was invited by the Government of Hong Kong to give a series of “Summer Music Workshops – First Music Lessons” for two consecutive summers. Alana is currently on faculty at the Vancouver Academy of Music and is a certified music teacher of the Royal Conservatory of Music, holding the Advanced Specialist in Piano, Music Theory & History designations. The competitions she adjudicated include the Canadian Music Competition (CMC), the 20th Asia Piano Open Competition (final round),the Vancouver International Music Competition (preliminary round), the 25th & 26th Annual Edith Lando Gifted Youth Music Competition, the Phyllis Salter Annual Piano Competition, the Vancouver Academy of Music Junior and Intermediate Symphony Concerto Competitions, and the Mozart School of Music Vancouver Piano Concerto Competition. She is currently the Vice President of the Canada International Arts and Music Society; and is on the board for the Vancouver Women’s Musical Society. Besides music, she has also made contributions in the field of Chemistry and was awarded the Vice President Research Award from the Simon Fraser University.